After 10 years and the expenditure of over $450 million, the FBI estimates that only 10 to 20 percent of the wireline switches, and approximately 50 percent of the pre-1995 and 90 percent of the post-1995 wireless switches, respectively, have CALEA software activated and thus are considered CALEA-compliant.40 The FBI’s strategy for spending these funds focused on identifying switches in locations of high-priority to law enforcement and first ensuring the CALEA-compliance of those switches. While the number of CALEA-compliant switches is based on the best available data, we cannot provide assurance on the accuracy of these estimates. Neither the FBI nor the FCC know the actual percentages of CALEA-compliance because the universe of carriers is unknown. In addition, as reported in previous OIG audits, the cost information provided to us by the FBI did not provide a basis to determine the reasonableness of the costs the FBI incurred. 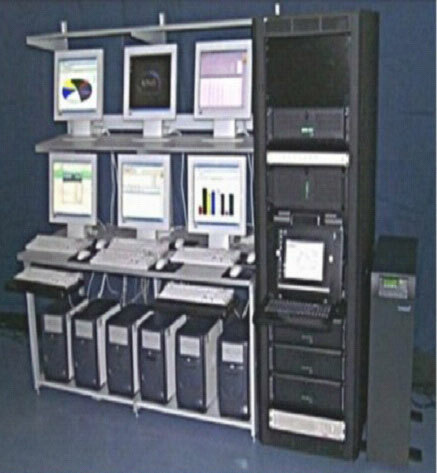 To facilitate CALEA implementation, Congress authorized the appropriation of $500 million to reimburse carriers for the direct costs of modifying systems installed or deployed on or before January 1, 1995.41 In general, costs for achieving compliance for equipment installed after January 1, 1995, were to be incurred by the telecommunications carriers. However, the legislation permitted the FBI, on application of a carrier, to pay that carrier for the additional reasonable costs of making equipment deployed after January 1, 1995, compliant with the assistance capability requirements. However, this applied only if the carrier’s compliance could not be reasonably achieved if no payment occurred. On September 30, 1996, the Omnibus Consolidated Appropriations Act of 1997 amended CALEA by adding Title IV which created the Telecommunications Carrier Compliance Fund (TCCF) and appropriated $60 million in initial funding. This fund is available without fiscal year limitation to the Attorney General for making payments to telecommunications carriers, equipment manufacturers, and providers of telecommunications support services. Additionally, CALEA authorized agencies with law enforcement and intelligence responsibilities to transfer unobligated balances into the TCCF, subject to applicable congressional reprogramming requirements. The following table illustrates the dollar amounts and timing of congressional appropriations and fund transfers from authorized agencies with law enforcement and intelligence responsibilities. An important aspect of the FBI’s implementation of CALEA was its nationwide buyout of RTU software licenses. The software allows carriers to meet CALEA intercept requirements by collecting and delivering to law enforcement pertinent call-identifying information, content, or both. The FBI negotiated with carrier and manufacturing representatives to determine the most appropriate way to arrange for carriers to obtain and deploy their CALEA-capability requirements. The FBI concluded that rather than reimbursing each carrier individually for the cost of the RTU licenses, entering into RTU software licenses with equipment manufacturers and their carrier partners would be the best utilization of the appropriated funds. The FBI reasoned that if carriers did not have to pay manufacturers individually for the software licenses, volume discounts could be achieved, thereby reducing deployment costs. This approach allowed carriers to receive, at no charge, CALEA electronic surveillance software. The FBI also entered into additional RTU license agreements, totaling $50 million, to reimburse carriers for the purchase of RTU Enhanced Dial-Out software licenses from Siemens, Lucent, and Nortel for $19.8 million, $19.6 million, and $10.7 million, respectively.44 The FBI determined that these RTU license agreements were the most cost‑effective vehicles to reimburse the carriers for the use of the manufacturers’ software. As reported in previous OIG audits (see Appendix V), the cost information given to us by the FBI did not provide a basis to determine the reasonableness of the RTU licenses’ costs. Accordingly, we offered no opinion. After 10 years and the expenditure of over $450 million, t he FBI estimates that only 10 to 20 percent of the wireline switches, and approximately 50 percent of the pre-1995 and 90 percent of the post-1995 wireless switches, respectively, have the CALEA software activated and thus are considered CALEA-compliant.45 The basis of the FBI’s estimates on CALEA-compliant switches is its analysis of information provided by carriers that participated in the FBI’s flexible deployment initiatives. Since 2000, the FBI has offered carriers the opportunity to participate in four flexible deployment initiatives that were designed to provide cost savings and operational flexibility to carriers while ensuring that deployment of CALEA solutions would occur. This approach resulted from recognition by the FBI of the challenges facing carriers and represented an attempt to minimize the costs and operational impact of CALEA-compliance on all carriers. A carrier’s participation in the flexible deployment initiatives allowed it to deploy its CALEA solution in accordance with its normal software upgrade cycle. Under the flexible deployment initiatives, the FBI supported a carrier’s petition to the FCC for a time extension for complying with a CALEA deadline if the carrier provided the FBI with its projected CALEA deployment schedules for all switches in its network, as well as information pertaining to any recent electronic surveillance activity. The FBI supported the carriers’ projected compliance schedules as long as the schedules did not delay the implementation of CALEA solutions in areas of high priority to law enforcement.46 Carrier extensions have become a source of contention between the FBI and telecommunications industry, and this issue is discussed further in the Carrier Extensions and Enforcement Orders for Non-Compliance section of Finding II. The FBI estimated that as of June 2000 about 1,400 carriers filed for 2-year extensions with the FCC under FlexD I. These extensions exempted carriers from complying with CALEA during the 2-year period of the extension. Later, carriers filed for additional time extensions under FlexD III and FlexD IV. As part of FlexD IV, only about 400 carriers – as opposed to the original 1,400 carriers who participated in FlexD I – filed for a time extension with the FCC. Therefore, the FBI concluded that the 1,000 carriers who did not participate in FlexD IV must now be CALEA‑compliant since they no longer filed for a time extension. Further, the FBI used the Local Exchange Routing Guide prepared by the telecommunications industry to estimate the universe of wireline switches for the flexible deployment initiatives. Based on the FBI’s review of the Routing Guide, it concluded that 80 to 85 percent of the wireline switches were included in the flexible deployment initiatives. According to the FBI, since all switches must be CALEA-compliant, and the carriers for the remaining 15 to 20 percent of the switches did not petition the FCC for an extension, the FBI concluded that those switches are CALEA-compliant. As straightforward as this methodology sounds, we cannot provide assurance that it provides an accurate estimate for measuring CALEA compliance. We discussed the extent of CALEA compliance with FCC representatives, who stated that the universe of carriers is unknown, even to the FCC. Telecommunications carriers are licensed by states, not the federal government, and the FCC said that state records are not necessarily up-to-date. Therefore, the universe of carriers may not have been fully represented in the FBI’s flexible deployment initiatives. In addition, an accurate estimate of the number of carriers participating in the flexible deployment initiatives is difficult to calculate based on FBI data. In particular, the 400 carriers that participated in FlexD IV were not necessarily a subset of the 1,400 that participated in FlexD I. According to the FCC, some carriers, like Verizon, indicated that they conducted hundreds of wiretaps for the government and always responded to law enforcement’s requests. Other carriers indicated that they never conducted wiretaps even though they were capable of doing so because they did not receive any requests. While CALEA directed carriers to become compliant, it did not require them to substantiate their compliance. Therefore, the FCC did not know if carriers were compliant, or whether they were taking a risk that they would not be called upon to respond to a wiretap request. Therefore, although we acknowledge that the FBI bases its estimates on the best available data, neither the FBI nor the FCC know the actual percentages of CALEA-compliance because there is no requirement for carriers to report the number of switches that are compliant. because many of these switches were inherited from other carriers, it is not sure how many. Specifically, all of the wireline carriers stated that 100 percent of their post-1995 switches were CALEA-compliant, but only one wireline carrier stated that 100 percent of its pre-1995 switches were CALEA-compliant. The other carriers explained that they were awaiting reimbursement from the FBI to begin or complete activation of the CALEA software on their pre-1995 equipment. Some wireless carriers acknowledged that push-to-talk (PTT) service had been introduced without a CALEA solution and that as a result carriers were unable to perform electronic surveillance in some instances. These carrier officials advised that a PTT CALEA solution had recently been deployed in concert with vendors and law enforcement. The FBI, however, considers this to be an interim solution rather than permanent CALEA solution. In our April 2004 report, we recommended that the FBI collect and maintain data on the number of carrier switches that are and are not CALEA‑compliant. In response to the recommendation, the FBI noted that absent a regulatory or contractual requirement to submit such data, carriers are under no obligation to provide such information. As part of its Joint Petition, DOJ requested that the FCC establish rules to permit the FCC to request information regarding CALEA‑compliance. As of November 2005, the FCC had not ruled on this issue. In addition, the FBI developed a carrier survey to collect CALEA-compliance information from carriers on a voluntary basis from carriers. According to the FBI, the information collected in the survey will be used to evaluate the effectiveness of FBI programs for implementing CALEA solutions. Affected telecommunications providers will be asked to identify the extent to which they are CALEA‑compliant, or the date when full CALEA-compliance will be achieved if they are not compliant. According to the FBI, the survey was mailed to telecommunications providers during November 2005 and requested responses within 60 days. The FBI’s strategy for spending the $500 million in CALEA funding focused on identifying switches in locations of high-priority to law enforcement and first ensuring the CALEA-compliance of those switches. According to FBI officials, its CALEA software deployment estimates are based on carrier participation in the FBI's flexible deployment initiatives. However, we cannot provide assurance that the FBI’s methodology provides an accurate estimate for measuring compliance because, according to FCC representatives, the universe of carriers is unknown. The FBI’s estimate that only 10 to 20 percent of the wireline switches had the CALEA software activated is troubling because the technology surrounding the PSTN has been used for over 100 years. However, the FBI has encountered significant challenges in implementing CALEA as discussed in Finding II. As a result of the delayed implementation on wireline switches, the law enforcement community may be limited in the type of information it can gather through electronic surveillance. As discussed in Finding III, switches with activated CALEA software have provided federal, state, and local law enforcement with beneficial features to conduct electronic surveillance. However, these features generally have been realized on wireless rather than wireline systems. The FBI has encountered significant impediments in implementing CALEA. These impediments included a contentious process of developing technical standards, continuous carrier requests for extensions and enforcement orders for non-compliance, and extended negotiations with carriers over software activation agreements. Electronic surveillance standards provide the basis for the development and deployment of technology to permit carriers to assist law enforcement in conducting electronic surveillance. In accordance with CALEA, the FBI consults with carriers and manufacturers to determine what capabilities will be included in the CALEA standards. Developing electronic surveillance standards and obtaining agreement on their content by law enforcement, telecommunications carriers, and equipment manufacturers has been a lengthy process and is the primary reason that CALEA implementation has yet to be completed on wireline equipment. In September 1998, the FCC granted an extension to carriers for complying with CALEA capability requirements (see Appendix IV - Memorandum Opinion and Order dated September 10, 1998). For equipment installed or deployed after January 1, 1995, the FCC extended the deadline from October 28, 1998, to June 30, 2000. The FCC granted this extension because no technology available permitted carriers to deploy the minimum industry‑developed J-Standard. According to CALEA, carriers are deemed to be CALEA-compliant with respect to equipment installed or deployed on or before January 1, 1995, unless the FBI agrees to reimburse carriers for all reasonable costs necessary to bring such equipment into compliance. In August 1999, the FCC ruled that carriers must comply with six of the nine punchlist requirements sought by the FBI and not included in the J-Standard (see Appendix IV – Third Report and Order dated August 26, 1999).56 The FCC also mandated that carriers provide the capability to intercept packet-mode communications by September 30, 2001. The telecommunications industry appealed the FCC ’s decision to the U.S. Court of Appeals for the District of Columbia Circuit. On August 21, 2000, the Court of Appeals remanded four of the challenged punchlist features to the FCC for further proceedings. In an April 11, 2002, Order on Remand, the FCC reiterated its August 1999 decision that all six punchlist capabilities were required under CALEA and must be provided by wireline, wireless, and broadband carriers by June 30, 2002. To ensure that carriers meet their CALEA responsibilities and to promote effective liaison with the telecommunications industry, the FBI participates in several domestic and international standards-setting groups. As part of these groups, the FBI educates carriers and manufacturers about law enforcement’s technical assistance capability requirements, and informs the carriers and manufacturers of their CALEA responsibilities with regards to emerging technologies. In addition, the FBI has been involved with international standards groups, including the European Telecommunications Standards Institute, the International Softswitch Consortium, and the Third Generation Partnership Project. An FBI official explained that the FBI participates in these groups because many of the equipment manufacturers are based in countries other than the United States. The FBI focuses its involvement in standards groups for technologies in which law enforcement has encountered problems. For example, the FBI does not participate in a standards group addressing satellite telephony because law enforcement has not reported electronic surveillance difficulty with this technology. Work on a packet-mode electronic surveillance standard, J-STD-025B (25B standard) began in October 2001. The 25B standard is only for wireless broadband data access service and was prepared by the Telecommunications Industry Association’s (TIA) TR45 Lawfully Authorized Electronic Surveillance Ad Hoc Group. The FBI initially participated in the 25B standard setting effort, but withdrew in February 2003 from active participation in this process. According to FBI officials, their opinion of a proposed standard only counts as one vote at these standard-setting groups, and their contributions to the process were rejected several times. The FBI is considering filing a deficiency petition with the FCC over this standard, as well as for wireline VoIP, wireless VoIP, and wireless broadband access, due to the standards groups’ failure to develop a CALEA standard for these technologies that is acceptable to law enforcement. Despite the FBI’s belief that the 25B standard is deficient, some carriers we spoke with noted that it is the only official packet-mode standard available and therefore they are upgrading their systems to comply with the 25B standard. Slow Vendor Development Time. According to one carrier, CALEA software solutions development time is generally 18 to 24 months. Therefore, the sooner law enforcement requirements are defined, the sooner CALEA electronic surveillance capabilities can be developed and deployed. Some carrier officials expressed frustration with what they viewed as the slow development of law enforcement requirements. One carrier official stated that the FBI should focus its efforts more on the development of law enforcement requirements and less on the development of ad hoc solutions. An FBI official noted that it is important for the FBI to focus its efforts in both areas because, in some instances, there are no alternative carrier or manufacturer solutions available to conduct the requested electronic surveillance. According to state and local law enforcement officials, the development of ad hoc solutions primarily benefits federal law enforcement because the FBI is not always able to share its technology with state and local law enforcement.60 Officials representing a wireless carrier viewed the FBI’s development of ad hoc solutions as a hindrance to the development of CALEA solutions because carriers and manufacturers do not always have access to these solutions to understand what hardware and software is needed. Lack of an Adequate Forum. Carrier officials explained that there was not an adequate forum available for law enforcement, carrier, and manufacturer representatives to meet and discuss mutual concerns. (Law enforcement personnel we interviewed also shared these concerns, which we discuss in Finding IV.) One carrier official noted that carrier and manufacturer’s technical staff need to hear law enforcements’ concerns firsthand to understand how new technologies impact investigations. The underlying problem often is not understood by the technicians and the result is often that law enforcement needs are viewed as overreaching. Another carrier official stated that current industry standards groups are too technically oriented for law enforcement. Flawed CALEA Solutions. Carrier officials stated that in the past, manufacturers provided flawed CALEA solutions that a carrier had to fix later at significant expense. Carrier officials suggested that the federal government provide a facility for manufacturers to test CALEA solutions prior to dissemination to carriers.61 These officials believe that current standard-setting bodies are not good vehicles for this process because they are primarily concerned with standards for commercial applications for the telecommunications industry. Carrier officials said that CALEA is not a high-priority to standard-setting groups and carriers are dependent on the equipment vendors to deliver CALEA‑compliant solutions each time a new feature or service is offered. They also stated that only the federal government has the clout to ensure that vendor-developed equipment and software meet CALEA requirements. Acceptance of Standards. Representatives from one carrier noted that the FBI appears to oppose the acceptance of standards until all of its requirements are accepted, and this ultimately slows progress. According to these representatives, the FBI may benefit more if it progressed slowly through the standards process instead of requesting “everything” in the beginning which some manufacturers and carriers may oppose. For example, one representative stated that the FBI should start with base requirements, get them approved, and then move to addendums that add more requirements and capabilities. Industry Controls the Standards-Development Process. The FBI agreed that the standards development process is slow and contentious. According to the FBI, law enforcement’s electronic surveillance needs are known to industry standards groups and only change to reflect the changes made in services offered by providers. For example, law enforcement's need for location information is non-existent in a wireline environment but paramount for a wireless service. As a service provider offers more features, a provider's ability to furnish information regarding those features may need to increase. However, CALEA gives the lead role in setting electronic surveillance standards to the telecommunications industry. This delegation has created considerable tension between the FBI and the telecommunications industry throughout the standards development process. In its CALEA Implementation Plan of August 2003, the FBI discusses providing greater authority to law enforcement for determining technical requirements. According to the FBI, CALEA allows the telecommunications industry to decide what law enforcement needs. If the FBI believes a standard is deficient, it has to challenge the standard by filing a deficiency petition with the FCC. Instead of having to explain why law enforcement needs a particular feature or service, the FBI’s preference would be to place the onus on the telecommunications industry to explain why a feature or service that law enforcement wants is not feasible. Forum for Discussing Law Enforcement Requirements. The FBI said that the current state of interaction between the telecommunications industry and the FBI is the result of continuous evolution. Over the last decade, various forums have been held regarding the CALEA required capabilities such as telecommunications industry sponsored legal summits, the FBI sponsored Service Specific Document Summits, and conferences and summits held by various organizations (industry and privacy groups). These meetings have allowed participants to express their views – often contentious and contradictory to each other. The FBI stated that the question of adequate testing may best be answered by government-sponsored testing using existing industry mechanisms. For example, FBI-facilitated testing would provide key benefits such as learning how each solution works and the impact solutions have on law‑enforcement collection equipment.63 Unfortunately, CALEA does not provide funding for such testing. In addition, the FBI believes that certain legal issues may need to be addressed before such testing could occur. The FBI stated that most carriers test solutions on their own networks or on test networks populated with stored data. In the past, proposals for FBI participation in testing have raised concerns that such participation could be characterized as involving the interception of either real-time or stored communications of a carrier's subscriber. Although not problematic for the carrier who has broad interception authority if necessarily incident to the rendition of a service, there is no statutory exemption in Title III that authorizes law enforcement to conduct, or participate in, intercept testing that involves real-time or stored subscriber communications. Therefore, it is unclear whether a statutory amendment would be required in order to provide the FBI with authority to conduct, or participate in, CALEA testing that involves real-time or stored subscriber communications. Success with Individual Telecommunications Providers. Although the CALEA standard development process has been slow and contentious, the FBI believes that it has been successful in discussions with individual providers and manufacturers. This is because of the inherent desire on the part of these companies to keep proprietary equipment and network information closely held. For example, an ISP representative noted that his company was launching a VoIP service that was in testing at the time of our audit. According to this representative, his company worked closely with the FBI to ensure that VoIP-CALEA requirements were integrated into its service. Two controversial issues regarding CALEA implementation are carrier extensions and enforcement orders for not complying with CALEA. Under CALEA, the FCC has the power to grant carriers extensions for complying with the CALEA capability requirements. Section 107 of CALEA provides for time extensions for complying with the statute for up to two years if the FCC determines that compliance is not reasonably achievable through available technology. Under Section 109, if the FCC finds that compliance is not reasonably achievable, the Attorney General may, upon petition of the carrier, agree to pay the carrier to make the modifications in order to make compliance reasonably achievable. If the Attorney General does not agree to pay these costs, the carrier will be deemed in compliance with the capability requirements.64 Unlike Section 107, there is no maximum time limit on Section 109 extensions. Since June 2000, the FCC has granted hundreds of Section 107 extensions in conjunction with the FBI’s flexible deployment initiatives, but never has granted a Section 109 extension. The Section 107 extensions that were granted to carriers by the FCC are a source of contention between the FBI and the telecommunications industry. According to the FBI, carriers can delay the implementation process by continuing to seek extensions from the FCC. The FCC first issued extensions to wireline and wireless carriers for complying with CALEA until June 30, 2002, and then to June 30, 2004. Furthermore, in 2004 carriers began filing for time extensions for complying with CALEA until June 30, 2006. In conversations with the FBI, SBC has been led to believe that the FBI will assert that there are no technical reasons why the Siemens Plan C solution cannot be accepted and deployed by SBC. SBC strongly disagrees, and submits that its technical experts are better suited to judge the compatibility of any proposed CALEA solution with SBC’s network. It is SBC’s understanding that the FBI’s opinion is based on testing conducted with a small rural carrier, whose network architecture, personnel, maintenance, and security concerns are vastly different in nature and scope than those faced by SBC. SBC also respectfully suggests that CALEA itself prohibits the FBI or any other government agency from dictating SBC’s network architecture, and that forcing adoption of a solution deemed currently unacceptable by SBC’s network experts would amount to exactly that.65 SBC has worked in good faith with all concerned parties for over a year in an attempt to make the Siemens solution viable for SBC’s network, and will continue to do so. Nevertheless, because significant issues remain untested at this time, compliance with CALEA’s requirements in SBC’s Siemens switches by June 30, 2002 is not reasonably achievable. A telecommunications industry representative noted that while the FBI blames the FCC for granting carriers repeated extensions, the FBI approached the FCC and suggested the flexible deployment initiatives. He also noted that the extensions were approved in conjunction with the FBI’s flexible deployment initiatives, and that an implementation strategy that included hundreds of extensions was “good enough at the time” for the FBI. Restricting the availability of compliance extensions under Section 107, particularly in connection with packet-mode requirements. Seeking comments regarding supporting information and documentation that should accompany Section 107 petitions if carriers are not participating in the flexible deployment initiatives, if the FBI opposes the petition of a carrier participating in the program, or if the FBI were to terminate the flexible deployment initiatives. Tentatively concluding that the requirements of Section 109 would not be met by a petitioning carrier that merely asserted that CALEA standards had not been developed, or that solutions were not readily available from manufacturers. The FCC noted that if standards or solutions do not exist, the petitioning carriers would still need to demonstrate why they could not negotiate system-specific CALEA solutions with manufacturers or with third-party CALEA service providers. Tentatively concluding that carriers may not assert the lack of available standards or solutions to support a showing under Section 109. Instead, carriers filing Section 109 petitions will be expected to demonstrate active and sustained efforts at developing and implementing CALEA solutions for their operations. In addition, the FCC tentatively concluded that it should require Section 109 petitioners to submit detailed information about discussions and negotiations with switch manufacturers, other equipment manufacturers, and third‑party CALEA service providers, both before and after the FBI announced the termination of the flexible deployment initiatives in connection with packet-mode technology. Furthermore, the FCC tentatively concluded that unless it was persuaded that petitioners have engaged in sustained and systematic negotiations with manufacturers and third-party providers to design, develop, and implement CALEA solutions, it should reject the submitted petitions. Until this point, the FBI’s pursuit of legal remedies for carrier non‑compliance with CALEA has not included filing enforcement actions. Under Section 108 of CALEA, an order enforcing CALEA may be issued by the court that approved the electronic surveillance order with which the carrier failed to comply or upon the application of the Attorney General through a civil action. Enforcement orders may only be issued if a court finds that: (1) another carrier’s facilities are not reasonably available to conduct the authorized electronic surveillance, and (2) the electronic surveillance is reasonably achievable with available technology.66 A court issuing an enforcement order must allow reasonable time for compliance and may impose a civil penalty not to exceed $10,000 per day for each day of violation of the enforcement order. The FBI explained that it has not sought enforcement orders for two reasons: (1) pre-1995 equipment is deemed CALEA‑compliant until the FBI agrees to reimburse carriers for their deployment costs, and (2) post-1995 equipment has been covered under FCC time extensions that were granted because CALEA-compliance was not reasonably achievable through existing technology. FBI officials summed up the current status by saying that it cannot file suit to enforce CALEA because the carriers currently do not have to comply with the law given the extensions. Instead, the FBI is asking the FCC to use the enforcement powers it has been granted under the Communications Act of 1934 to compel carriers to comply with the FCC-imposed deadlines. According to FBI personnel, the FCC has used these enforcement powers over carriers for other purposes, such as enforcing local number portability and enhanced 911 service. [d]espite the crisis atmosphere fostered by the government, the Justice Department and law enforcement have never once used the enforcement powers that CALEA gives them. The only logical conclusion is that there has never been a single case – not one, not anywhere in the country, and not at any time in the last decade – in which the Justice Department thought it could prove that a carrier had failed to meet its CALEA obligation and that important evidence was being lost as a result. Accordingly, in its Joint Petition, DOJ requested that the FCC establish procedures for FCC enforcement actions against entities that do not comply with their CALEA obligations. In the proposed rulemaking, the FCC sought comment from interested parties on how it could enforce the CALEA assistance capability requirements. In addition, the FCC sought comment on whether its general enforcement procedures were sufficient for purposes of CALEA enforcement. According to the FBI, it concluded negotiations with two carriers in September 2005 for a total cost of $4.5 million. The first carrier agreed to the FBI’s counter-offer of $2.9 million to cover 1,158 switches (including dial-out solution software) for an average per switch price of $2,530. The second carrier agreed to the FBI’s counter-offer of $1.6 million for 667 switches (including dial-out solution software) for an average switch price of $2,410. The FBI temporarily discontinued negotiations with the two other carriers. According to the FBI, substantial personnel turnover at the third carrier has made negotiations difficult and discussions were postponed. The negotiation process recently resumed with this carrier. The FBI has also discontinued negotiations with the fourth carrier because they said the carrier’s initial proposal of $170 million appears to be completely unjustified and it far exceeded the amount of the remaining CALEA funding. The FBI has encountered significant challenges in implementing CALEA. Although new technologies that blur the historical boundaries of telecommunications have emerged, the FBI continues to implement CALEA on wireline systems. The development and implementation of the initial standards, which was slowed significantly by litigation, is the primary reason implementation has been delayed. In addition, repeated requests from carriers for time extensions has been a controversial issue to CALEA implementation. As further discussed in Finding III, the anticipated benefits of CALEA on wireline systems have not materialized. Coordinate with the DOJ and the telecommunications industry to determine the legality and feasibility of FBI-sponsored development and testing of manufacturers’ CALEA solutions prior to their dissemination to carriers. CALEA has provided the law enforcement community with beneficial features to conduct electronic surveillance, and has greatly reduced the amount of time it takes to initiate a wiretap. However, these features generally have been realized on wireless rather than wireline systems. Nevertheless, we believe the following factors mitigate the effects of the slow implementation on wireline systems: (1) the growing popularity of Internet telephony, (2) the limited number of wireline intercepts, (3) the apparent limited effect on criminal investigations, and (4) emerging technologies. With the remaining $45 million in CALEA funding, the FBI plans to reimburse major wireline carriers for activating the CALEA solution software on their systems. However, considering the changing dynamics of the telecommunications industry and the fact that almost 90 percent of intercepts are conducted on wireless systems, we believe the FBI should reexamine the future benefits of activating CALEA software solutions on wireline systems before expending any additional funding in that effort. As shown above, FBI and DEA officials responding to the survey indicated that they conducted electronic surveillance in 2004 while responses from 82 percent of the state and local officials indicated that electronic surveillance was not necessary in their cases. Additionally, 23 percent of the state and local agencies responding to the survey indicated that electronic surveillance was not affordable. For the switches with activated CALEA software, we found that CALEA has provided federal, state, and local law enforcement with beneficial features to conduct electronic surveillance, and has greatly reduced the amount of time it takes to initiate a wiretap. Law enforcement officials stated that CALEA greatly reduced the amount of time it took carriers to initiate a wiretap once a court order was accepted by the carrier. For example, a New York law enforcement official noted that his agency can now initiate a wiretap on a wireless phone within a day. He also said that the carriers have greater capacity to conduct more wiretaps simultaneously. This was reiterated by one carrier official, who noted that prior to deployment of the CALEA solution, provisioning (the providing of electronic surveillance service by the carrier) of electronic surveillance was time-consuming and expensive. In addition, both carrier and law enforcement officials had to be physically present at the switch location during the electronic surveillance, and previously it could take up to several weeks to receive intercept data from a carrier. With the implementation of CALEA, provisioning is completed remotely from a central location for all electronic surveillance in a carrier’s network. This process has significantly reduced carrier and law enforcement travel costs and time, and has facilitated electronic surveillance. Under CALEA, law enforcement agencies can now make a single connection to the carrier’s network, and can deal with carrier staff whose positions are dedicated to provisioning electronic surveillance. These changes mean that law enforcement agencies have faster access to electronic surveillance data, often within a day. We believe the following factors mitigate the effects of the delayed implementation on wireline systems. Internet telephony and Internet telephony service providers are a growing segment of the telephone industry. An April 2005 report from research firm International Data Corporation (IDC) predicts that U.S. residential VoIP customers will grow from 3 million in 2005 to 27 million by the end of 2009. An example of this trend is Comcast Corporation, which is the nation’s largest cable company. Comcast plans to offer its Internet-based phone service to its 28 million cable and high-speed Internet customers by mid-2006. In addition, a carrier representative we interviewed reiterated a widely held belief that the Internet will swallow up the conventional telephone network, and that Internet Telephony will essentially replace traditional telephone service in the United States in the near future. According to the April 2005 Report of the Director of the Administrative Office of the United States Courts on Applications for Orders Authorizing or Approving the Interception of Wire, Oral, or Electronic Communications, the most common location specified in wiretap applications authorized in 2004 was “portable device, carried by/on individual.”71 According to the report, 88 percent of all wiretaps authorized involved portable devices such as portable digital pagers and cellular telephones. The report noted that since 2000 – the first year that the “portable device, carried by/on individual” category was used – the proportion of wiretaps involving fixed locations has declined as the use of mobile communications devices has become more prevalent.72 The report also noted that only 5 percent of all intercept devices were authorized for personal residences, and 2 percent were authorized for business establishments such as offices, restaurants, and hotels. Wireline A. 1.2 percent of the court orders it received for intercepts required CALEA features. Wireline B. Less than 1 percent of the court orders it received for intercepts required CALEA features. Wireline D. 6.25 percent of the court orders it received for intercepts required CALEA features. Wireline E. 3.5 percent of the court orders it received for intercepts required CALEA features. According to the Federal, state, and local law enforcement officials we interviewed and surveyed, their agencies do not request intercepts requiring CALEA features for several reasons (i.e., the high cost charged by carriers, carrier noncompliance, or the investigation only required a traditional wiretap). The FBI measures the investigative impact of CALEA and identifies issues and concerns of law enforcement in a variety of ways. Representatives from the FBI speak with law enforcement at various events including the FBI’s Law Enforcement Technical Forum, the FBI’s Law Enforcement Executive Forum, meetings of the International Association of Chiefs of Police, and meetings of the Law Enforcement Executive Development Association.73 During these events, FBI officials said that law enforcement representatives raise with them issues that affect their ability to conduct electronic surveillance, such as carrier compliance and emerging technologies. Federal, state, and local law enforcement representatives also convey their issues and concerns through Threat Assessment Surveys distributed by the FBI. The FBI also measures the impact of CALEA on law enforcement by reviewing help desk reports. The FBI maintains a help desk that law enforcement officials can call when they have difficulty conducting electronic surveillance or if they have questions. In addition, the FBI website (www.askcalea.net) provides a help desk database that describes difficulties encountered with CALEA solutions. Law enforcement officials can submit problems to the help desk, such as difficulties they encounter while conducting a CALEA intercept. Law enforcement officials can review the help desk’s database to determine if other law enforcement agencies have encountered the same difficulty and identify what action was taken. We reviewed the FBI's 2004 Threat Assessment Survey Report and the individual threat assessment surveys used to prepare the report. The 2004 Threat Assessment Survey was developed to better understand and anticipate future threats to law enforcement. The survey was conducted from November 2003 through September 2004 at the national and regional meetings of the National Technical Investigator Association, and at various DEA and FBI training sessions. Our review of the surveys found that they are useful in helping the FBI measure CALEA’s impact and for identifying issues and concerns that affect law enforcement’s ability to conduct electronic surveillance. However, the number of survey participants was limited, and therefore may not adequately represent the full law enforcement community. We noted that 25 participants (21 percent) believed criminals used telephone company features (call-forwarding, voice mail, 3-way calling) to evade electronic surveillance. However, because the survey responses were general in nature, we were unable to determine the specific features, if any, that were problematic to law enforcement or the extent of the problem. In our judgment, this is a shortcoming in the FBI’s survey because it does not identify whether the problem results from a non-CALEA compliant carrier, or the law enforcement agency does not possess the resources to acquire the CALEA features.74 For example, two law enforcement officials informed us that their agency cannot afford the expense of installing a T-1 line, which is the delivery method to receive the CALEA features (this issue is discussed further in Finding IV). The surveys also requested participants to prioritize current, new, or emerging technologies having the greatest impact on their agency’s ability to perform electronic surveillance. As shown in the following chart, law enforcement officers indicated that pre-paid cell phones, telephony over broadband, and voice or text over the Internet would have the greatest impact on their department’s electronic surveillance activities within the next two years. Our review of the FBI’s Threat Assessment Surveys revealed that the law enforcement community is less concerned over the ability to perform electronic surveillance on wireline equipment, and more concerned over new and emerging technologies. In addition, we believe the FBI should obtain a larger audience of survey participants to include more state and local law enforcement representatives and provide comprehensive examples of the electronic surveillance problems law enforcement is encountering. Sixteen of the case examples described unsuccessful PTT intercepts, with the most recent example occurring in August 2004.75 The carriers cited and the number of instances where law enforcement was unable to conduct electronic surveillance were as follows: [LAW ENFORCEMENT SENSITIVE INFORMATION REDACTED]. Three of the case examples described unsuccessful VoIP intercepts. [LAW ENFORCEMENT SENSITIVE INFORMATION REDACTED]. Two case examples cited pre-paid calling card or pre-paid cell phone for the cause of an unsuccessful intercept. [LAW ENFORCEMENT SENSITIVE INFORMATION REDACTED]. Two case examples cited carrier issues regarding lack of audio as the cause of an unsuccessful intercept. [LAW ENFORCEMENT SENSITIVE INFORMATION REDACTED]. In our judgment, these examples are not necessarily indicative of emerging technology that is negatively impacting law enforcement’s ability to conduct electronic surveillance. According to an FBI official, [LAW ENFORCEMENT SENSITIVE INFORMATION REDACTED]. Depending on the law enforcement agency, emerging technology impacts their ability to conduct electronic surveillance to varying degrees. A New York law enforcement official stated that the technology is changing at such a high rate of speed that law enforcement needs the FCC to step in. He also noted that “the carriers are doing what the criminals couldn’t do – putting law enforcement out of business,” by releasing technology without a solution and by charging fees that make electronic surveillance cost prohibitive (this issue is discussed further in Finding IV). According to law enforcement officials, [LAW ENFORCEMENT SENSITIVE INFORMATION REDACTED]. A law enforcement official stated that his agency has experienced [LAW ENFORCEMENT SENSITIVE INFORMATION REDACTED] before the target has changed phones. Therefore, he believes that law enforcement’s ability to conduct a wiretap should be tied to the individual, rather than the phone line, to make the process quicker for switching the line that the wiretap is on. Law enforcement officials noted [LAW ENFORCEMENT SENSITIVE INFORMATION REDACTED] through the carrier. Additionally, targets are able to evade electronic surveillance by using cell phones purchased in Mexico or by traveling into Mexico to place calls, even if the target uses a U.S. carrier. A law enforcement official noted that calls made on cell phones purchased in Mexico or calls initiated in Mexico are not wiretapped because of security concerns related to working with carriers’ international divisions. According to the FBI, Internet “hotspots” such as cyber cafés that provide anonymity with multiple access points, third‑party calls using calling cards, and toll free numbers are a “technologically unsolvable problem.” These services can only be addressed through investigative techniques, rather than through the application of CALEA. In addition, FBI officials said that commercially available electronic encryption will also hinder law enforcement’s ability to collect information from electronic intercepts.76 According to the FBI, [LAW ENFORCEMENT SENSITIVE INFORMATION REDACTED]. About $45 million in CALEA funds remain for the implementation of CALEA-compliant solutions. As previously discussed, the FBI is negotiating reimbursement agreements with two carriers for the cost of deploying CALEA solutions on their pre-1995 equipment. The funds remaining upon completion of negotiations with the two carriers will be used to reimburse second‑tier carriers (e.g., large independent carriers and competitive local exchange carriers serving smaller metropolitan areas such as Cincinnati Bell and Alltel). The FBI expects to exhaust the remaining CALEA funds reimbursing second‑tier carriers. We are concerned about how the FBI plans to use the remaining $45 million. We recognize that CALEA permits the FBI to reimburse carriers for all reasonable costs associated with bringing pre-1995 equipment, facilities, and services into compliance. Nevertheless, because CALEA implementation was delayed, and because technology has significantly changed from the time of CALEA’s enactment, we believe the FBI should reexamine the future benefits of activating CALEA software solutions on wireline systems before expending any additional funding. The basis for our concern revolves around: (1) the growing popularity in Internet telephony, (2) the limited number of intercepts performed on wireline equipment, (3) the apparent limited effect on criminal investigations, and (4) the discussion on emerging technologies. Our conclusion in this area is not only limited to the above discussion, but is also based on the costs of the equipment needed to obtain CALEA‑covered wiretaps, the wiretap fees charged by carriers, and the delivery method (as discussed in Finding IV). the delivery method the carrier will require law enforcement to accept. As technology advances at an ever‑increasing pace, law enforcement officials must be prepared to deal with emerging technologies. For example, [LAW ENFORCEMENT SENSITIVE INFORMATION REDACTED]. When considering the changing dynamics of the telecommunications industry, the limited number of CALEA‑covered wiretaps reported by four carriers in high‑priority locations, and the fact that almost 90 percent of authorized wiretaps are conducted on portable devices, we believe the FBI should consider alternative uses for the remaining CALEA funds. Expand the audience of state and local law enforcement representatives participating in its Law Enforcement Technical Forums and the FBI Threat Assessment Surveys. This would allow for a more comprehensive understanding of the electronic surveillance threats to law enforcement. Improve the methodology used to gather accurate and current data regarding the adverse impact on criminal investigations arising from carriers’ inability to provide CALEA-compliant wiretaps or access to call-identifying information. This can be accomplished by soliciting detailed information on adverse responses to the Threat Assessment Survey, and through the CALEA helpdesk. Reexamine the benefits of activating CALEA solutions on wireline systems prior to the expenditure of the remaining $45 million in CALEA funding. The development, deployment, and maintenance costs associated with implementing CALEA and who should bear those costs continue to be controversial issues. The 10 carrier officials we interviewed believed that these significant costs will hinder full CALEA-compliance. For law enforcement, electronic surveillance is expensive, and includes wiretap fees charged by carriers, equipment costs, and costs associated with the delivery method. In addition to these costs, law enforcement’s ability to conduct electronic surveillance is also hampered by poor customer service by carriers, and the FBI’s ability to provide assistance and training on electronic surveillance to state and local law enforcement agencies. As technology advances, carrier and law enforcement costs will increase, and their limited assistance could negatively affect law enforcement’s ability to conduct electronic surveillance. A VoIP provider contracted to pay approximately $100,000 to a trusted third party (TTP) to develop its CALEA solution. In addition, the TTP will charge a monthly fee of $14,000 to $15,000 and $2,000 for each intercept. These amounts do not include the cost of labor for writing code into the software to accommodate the CALEA solution. In addition, officials from this provider discussed with us “opportunity” costs, in that programmers working on CALEA could be developing new features for its customers. Furthermore, the officials were concerned that the government would mandate that every new feature would have to be CALEA-compliant prior to being offered to the public. Such a restriction would cost the company revenue and place them at a disadvantage in comparison to non-U.S. based providers, who do not have to comply with CALEA. A wireless carrier stated that it had spent about $14 million on standards-based voice and data CALEA solutions. These costs were primarily capital and ongoing labor costs, with the bulk of the money going towards developing Personal Communications Services (PCS) voice interception and second‑generation packet-mode service. Furthermore, because all of the carrier’s equipment is post-1995, the carrier must bear all costs. This carrier also discussed “hidden costs.” For example, resources are pulled from revenue-generating projects to work on CALEA projects. In addition, interaction with vendors to develop CALEA solutions and providing technical assistance to law enforcement is very costly. Another wireless carrier estimated that it spent about $40 million to make its network CALEA‑compliant. Again, virtually all of this carrier’s equipment was post‑1995 and, therefore, its costs were not recoverable from the FBI. We also obtained the costs that some carriers incurred to deploy their CALEA solutions on a “per switch” basis. Specifically, one wireline carrier stated that the company spent nearly $24,000 per switch to deploy its CALEA solution on 747 switches. Another wireline carrier stated that its CALEA-compliance cost was over $33,000 per switch on 222 switches. However, the reported carrier costs, both in the aggregate and on a per switch basis, are not comparable because carrier networks vary greatly in size and switch type. One carrier representative stated that his company believes law enforcement is frustrated by the new communications technology, but does not fully understand the total cost and complexity of obtaining CALEA wiretaps in a wireline and wireless environment. The representative also said that the costs and complexity involved will be exponentially greater with packet mode technology. He further stated that law enforcement wants the CALEA functionality but is largely unaware of the expense and technical impediments to full implementation. This official believed that the problems for law enforcement must be solved before CALEA is implemented on a larger scale. From a law enforcement perspective, conducting electronic surveillance is expensive and includes wiretap fees charged by carriers, equipment costs, and costs associated with the delivery method. Law enforcement's biggest complaint regarding CALEA is the relatively high fees charged by carriers to conduct electronic surveillance. A traditional wiretap costs law enforcement approximately $250. However, a wiretap with CALEA features costs law enforcement approximately $2,200 according to law enforcement officials and carrier representatives we interviewed. A law enforcement official noted that, “[w]ith CALEA, the carriers do less work but it costs approximately 10 times as much to do a CALEA-compliant tap versus a traditional tap. ” Law enforcement officials agree that the features provided by CALEA are valuable. However, some law enforcement agencies cannot afford to conduct the number of wiretaps they believe is necessary to support their investigations. We found that other agencies have chosen to conduct traditional wiretaps because of the high carrier fees associated with the CALEA features. In addition, we found that carrier fees varied widely. During our site visits to federal, state, and local law enforcement agencies, we obtained carrier fee schedules and invoices. The carrier invoices were not itemized, which is a source of contention between law enforcement and the carriers. Law enforcement officials stated that t he carriers refuse to provide their agencies with itemized bills that detail the charges for each intercept (i.e., initiation fee, maintenance fee, “pinging” fee, and cost of reports). The agency can verify that the wiretap was active on the dates indicated on the bills, but not what the total cost listed on the bill is based on. Therefore, we were unable to determine if the carriers are passing capital costs on to law enforcement.79 However, as previously noted, one carrier informed us that most of the costs it billed to law enforcement are for overtime and recovery of capitalized hardware and software costs. These representatives stated that capital costs are the major costs incurred by a carrier, and that these costs are entirely proper for carriers to recover. These representatives also stated that capital costs will continue to grow as technology accelerates. One law enforcement official noted that prosecutors are unable to challenge the carriers’ costs during the course of the electronic surveillance because to do so would be a civil matter and the wiretap orders are sealed by the criminal court. The prosecutor would have to wait until the criminal matter was completed. The law enforcement official stated that at that point the electronic surveillance is no longer needed and the prosecutors do not have time to pursue the issue. Using the wireless carrier fee schedules provided by law enforcement, we calculated a total base cost per intercept to illustrate the cost variances by carrier for the same type of electronic surveillance and the cost variances charged to different law enforcement agencies by the same carrier.80 As depicted in the following tables, we received fee schedules within the same state for four carriers (Carriers A, B, G, and H). Since some carriers charge a flat fee while others charge an initiation fee plus a daily maintenance fee, we based our calculations for pen register fees on a 60‑day period and Title III wiretap fees on a 30‑day period since that is the timeframe covered in court orders. In addition to the base calculation provided in the tables, additional fees may be charged by the carriers including monthly maintenance fees, per switch set-up fees, additional switch fees, uninterrupted continuation fees, call-bridging fees, extension fees, and fees for activity reports. The above fee calculations illustrate that carriers’ fees range from $250 to $3,100 to conduct pen registers and Title III wiretaps. Carrier fees are also inconsistent among law enforcement agencies and states. For instance, Carrier B charges a Nevada law enforcement agency $600 for a Title III wiretap while the same carrier charges a California law enforcement agency $1,775 and another California law enforcement agency $2,600. The cost to conduct electronic surveillance for one case can quickly rise. For example, if law enforcement needs to conduct electronic surveillance beyond the 30‑ and 60‑day timeframes, a new court order requesting an extension must be obtained and, in most cases, the law enforcement agencies are charged the same fees again by the carriers. In addition if another target is identified during the monitoring of the initial target, another court order is obtained to initiate an additional wiretap. A law enforcement official stated that a typical case for his agency usually involves five to six targets. If a target uses more than one phone, the cost to law enforcement rises proportionately. From the 82 responses to our survey from law enforcement officials indicating that their agency conducts electronic surveillance, 31 agencies (38 percent) indicated that the number of intercepts conducted is hindered by the costs charged by carriers. clarify the cost methodology and financial responsibility associated with intercept provisioning. Whether the FCC should distinguish carrier recovery of CALEA incurred capital costs generally from recovery of specific intercept-related costs. In addition, the FCC sought comment on the costs that can be included in intercept provisioning costs and the entities that should bear financial responsibility for those costs. In order to conduct CALEA wiretaps, law enforcement agencies must maintain or have access to a wireroom. A wireroom consists of a computerized system that intercepts, decodes, records, and plays back telephone communications. The installation of these facilities is both time-consuming if not already in place (it must be ordered weeks or months in advance) and expensive. Depending upon the number of wiretaps conducted and available funding, law enforcement agencies may elect to maintain their own wireroom, maintain a wireroom in conjunction with another agency, or request the temporary use of a wireroom maintained by another agency. Although law enforcement officials noted that their wirerooms are also available for use by other law enforcement agencies in their general vicinity, the smaller law enforcement agencies are limited in conducting electronic surveillance due to the fees charged by carriers. Of the 82 responses to our survey from law enforcement officials indicating that their agency conducts electronic surveillance, 48 agencies (59 percent) maintain their own wireroom. Law enforcement officials representing the 82 agencies indicated that the number of intercepts conducted by their agencies is hindered by the cost to purchase equipment (16 of 82 responses) and the cost of equipment maintenance (11 of 82 responses). As an example, the equipment listed below was located in one of the wirerooms that we visited. This particular wireroom has the capacity to conduct eight regular wiretaps or four [LAW ENFORCEMENT SENSITIVE INFORMATION REDACTED] wiretaps simultaneously. 1 computer monitor to switch between the 3 servers. In addition to the initial purchase of equipment, law enforcement agencies also pay approximately $30,000 per year in maintenance fees to their equipment vendor. Law enforcement agencies said they spend additional funds for hardware and software upgrades to keep up with improvements and emerging technology. Equipment costs for collecting the large amount of data will continue to be a major impediment for law enforcement. As technology changes and electronic surveillance becomes more complex, law enforcement will need to carefully consider how they will receive large volumes of data, especially with broadband intercepts. The collection equipment required by law enforcement will be more complex and costly, and law enforcement will also need to develop the technical expertise to operate the equipment. During our site visits, many law enforcement officials noted that CALEA addresses what carriers need to provide to law enforcement agencies without addressing how data is delivered. For example, CALEA does not address whether carriers can use digital or audio phone lines to deliver the audio portions of intercepts. As a result, the delivery method of intercepted data varies by carrier. Due to the various delivery methods, law enforcement agencies must purchase additional equipment to receive the intercepted data from a carrier. The four delivery methods are dial-out, VPN, frame relay, and T-1 lines. Dial-out. A dial-out solution takes advantage of the PSTN already in place between the carrier equipment performing an intercept and a law enforcement collection site. A dial-out solution only requires a regular telephone line. VPN. For VPN, carriers use a “secure tunnel” VPN to conduct electronic surveillance over the Internet. The VPN secure tunnel method uses law enforcement’s existing connectivity to the Internet to connect to a specific point in the carrier’s network. Firewalls and encryption keys are used to authenticate the law enforcement agency before any intercepted call-identifying information or content is delivered from the carrier’s network. This method keeps the information secure when traversing the Internet, and does not require the law enforcement agency’s connection to the Internet to be dedicated to a specific carrier or to receiving CALEA information. The best features of a VPN-type connection are that the law enforcement agency can use the same connection to the Internet for multiple applications such as web browsing, e-mail, and CALEA connectivity. Frame Relay. A frame relay connection consists of three parts: (1) the connection from the law enforcement agency to the carrier’s frame relay, which is a private, specific‑use circuit that connects a single law enforcement agency location to the carrier’s network. This represents the maximum rate at which a law enforcement agency can accept packets from a carrier; (2) the frame relay, which is a network of routers that allow communication from point-to-point without having a dedicated circuit end-to-end; and (3) the connection from the frame relay, which is a private, specific‑use circuit that connects multiple law enforcement agencies to the carrier’s network. The value of the frame relay connection is its ability to handle large amounts of data, up to the bandwidth of the connection facility, but still not have to pay for that bandwidth point-to-point. T-1 Line. A T-1 line is a higher capacity circuit using a fiber optic or copper line. A T-1 line can carry 24 digitized voice channels and about 192,000 bytes per second – roughly 60 times more data than a normal residential modem. It is also much more reliable than an analog modem. One law enforcement official we interviewed stated that he would like to see DOJ mandate the dial-out solution as the delivery method because it is less expensive. A carrier official stated that with dial-out, the line can be connected in two or three days and only costs $60 per line. However, carriers also noted that not all of the CALEA features are available when dial-out is used because the “pipe” is not large enough for the data stream. Although dial-out is a viable option for receiving call-identifying information and call-content for circuit-mode calls, it may not be a viable option for packet-mode calls. This is because the low connection speed of the dial-out delivery method may not be able to handle the delivery of intercepted packets for law enforcement agencies that handle multiple simultaneous surveillances. A law enforcement official in California stated that his office was informed by two in-state wireline carriers that they are CALEA-compliant but law enforcement would need to build a T-1 line to each of the carriers’ switches. The law enforcement official explained that this concept is unreasonable considering his agency’s jurisdiction has about 95 switches from one carrier and about 130 switches from the other. Therefore, it would cost his agency about $292,500 to install T-1 lines to each of the switches.82 This scenario would not be cost beneficial to his agency because a T-1 line is only used for wireline intercepts, and approximately 70 percent of this agency’s wiretaps are performed on wireless phones. The law enforcement official stated that there are numerous agencies in California with authority to conduct intercepts and each agency would be required to install a T-1 line to each of the carriers’ switches to conduct a CALEA intercept. Another law enforcement official in California estimated that 99 percent of their wiretaps are performed on wireless phones.83 Furthermore, a law enforcement official in Florida also experienced the same situation with one of the carriers noted above. Due to the prohibitive cost of wireline carrier’s CALEA solution, the California and Florida law enforcement agencies conduct traditional wiretaps that could not take advantage of CALEA features. In addition to monetary issues that affect carriers and law enforcement, we identified assistance concerns that will also affect the successful implementation of CALEA. Several law enforcement officials stated that they received poor customer service from the carriers, and believe some carrier employees lack training on initiating and maintaining a CALEA wiretap. In particular, carriers were criticized for bringing down intercepts by upgrading their switches in the middle of the night without notifying law enforcement. In addition, west coast law enforcement officials stated that carriers do not provide customer service after 5:00 p.m. EST. One law enforcement official said that many of the carriers’ representatives “have no clue” what law enforcement is talking about when they call with a problem and that he does not think they care or are encouraged to care about law enforcement’s problems. Another law enforcement official offered examples when the carrier’s switches were able to conduct the intercepts but the carrier’s technician did not know how to activate the switches. In addition, law enforcement cited problems with carriers being unable to see the data being sent to law enforcement's monitors until hours later. Although law enforcement receives real-time information, the carriers’ service representatives receive the same data hours later, which hinders the carriers’ service representatives from providing timely assistance. Meanwhile a carrier representative told us that most law enforcement agencies blame the carrier if something goes wrong with the intercept. The representative stated that when a law enforcement agency calls with a collection problem, the carrier will deliver the intercept data to its own collection equipment to determine if any problems exist with the delivery of the intercept. When the carrier investigates complaints, about 50 percent of the time it refers the law enforcement agency to the equipment vendor because the problems can be traced to a lack of technical expertise of the law enforcement agency in operating the collection equipment rather than the carrier’s lack of customer service. State and local law enforcement officials indicated that they feel disconnected and unsupported by the FBI on the issue of electronic surveillance. These officials believe that t he FBI should provide basic training facilities for law enforcement agents and technical personnel to receive hands-on training on how to conduct CALEA intercepts. During our site visits, we met with state and local wireroom technical agents who were trained as law enforcement officers, but had no prior electronic surveillance experience. However, they were tasked with setting up a wireroom for their agencies, which included dealing with equipment vendors and learning how to conduct electronic surveillance. We believe that state and local agents’ learning curves could be reduced dramatically if the FBI provided training. However, the FBI stated they may be limited by Attorney General Order 1945-95 (see footnote number 60) in the level of assistance and training they can provide. Law enforcement officials who attended the FBI-sponsored Law Enforcement Technical Forums noted that the number of the forums has declined over the last few years. Additionally, we were told that forums have become one-sided with the FBI simply presenting information, instead of an exchange of ideas between the FBI and law enforcement. Law enforcement officials also noted that the FBI should provide an opportunity and venue for vendors to showcase their equipment and analytical programs. Law enforcement officials further mentioned they would like a forum to meet with representatives from the telecommunications carriers in order to voice their concerns. We discussed with the FBI the possibility of the vendors and carriers attending the Law Enforcement Technical Forums. However, FBI officials disagreed with this suggestion, citing security concerns with vendor and carrier personnel. Our audit also found that some of the state and local law enforcement officials we interviewed were unaware of the resources available to them through the FBI, such as the FBI’s CALEA website or its help desk. If law enforcement agencies are unaware of the CALEA website then they are unable to request membership in the Law Enforcement Technical Forum. Members receive invitations to the Law Enforcement Technical Forums where law enforcement representatives can discuss their issues and concerns as well as participate in the Threat Assessment Surveys. Law enforcement officials uniformly believe that electronic surveillance is a vital investigative tool and that the CALEA features are extremely beneficial. However, law enforcement agencies are hindered in their ability to conduct the desired number of wiretaps by the cost-prohibitive delivery path offered by some carriers as well as the intercept fees charged by carriers and the costs to set up and maintain a wireroom. While a carrier may be considered CALEA-compliant, it is of no use to law enforcement if the agency cannot afford the delivery path to receive the intercepted data or simply cannot afford the intercept fees. In addition, we found that state and local law enforcement agencies often do not have the necessary resources to conduct effective electronic surveillance. As a result, state and local law enforcement officials we interviewed indicated they often feel disconnected and unsupported by the FBI, and would benefit greatly from a closer working relationship with the FBI on these issues. Law enforcement officials said they have experienced poor customer service from some carriers, further complicating their ability to conduct electronic surveillance. For instance, carriers were criticized for bringing down intercepts by upgrading their switches in the middle of the night without notifying law enforcement. In addition, our survey indicated that law enforcement was not provided the intercept data in a timely manner and that the some carriers were unresponsive to requests for assistance. Provide training for state and local law enforcement agents and technical personnel on how to conduct CALEA intercepts. In conjunction with this recommendation, the FBI should pursue legal clarification of Attorney General Order 1945-95 from the DOJ. Improve liaison between law enforcement officials and carrier and manufacturer representatives by providing a forum to address electronic surveillance issues. This would enhance carrier customer service and law enforcement officials’ technical knowledge. A switch is a telephone company device which “makes the connection” when a call is placed. Modern switches are specialized computers. According to the U.S. Congress, Office of Technology Assessment, Electronic Surveillance in a Digital Age, the costs of the legislation and differences of opinion about who should bear those costs were highly controversial issues during the time leading up to passage of CALEA. The $500 million figure was a compromise among widely ranging estimates from the telecommunications industry and law enforcement agencies as to the costs of modifying a carrier’s equipment and technology to make it CALEA-compliant. Both the telecommunications industry and law enforcement’s estimates were based on assumptions about costs for modifying existing equipment and deploying the technology, but the estimates were generally not based on formal engineering cost analysis. In addition, the FBI incurred costs of about $93 million to administer the CALEA program. This included over $77 million in contract costs for the telecommunications technical expertise necessary to administer the program. These administrative costs do not include the significant costs incurred by the FBI to develop “ad hoc solutions” that are used to conduct electronic surveillance on switches where the carrier has not developed CALEA solutions. According to FBI officials, the cost of these ad hoc solutions, which are described in Appendix VIII, exceeded $40 million. These manufacturers account for over 90 percent of telecommunications equipment lines in the United States. The RTU license agreements specified that the software must pass FBI inspection before being disseminated to carriers. In this regard, the payments and obligations mentioned above include more than $500,000 for carrier assistance in testing the manufacturer’s software. According to the FBI, technical electronic surveillance solutions developed by the telecommunications industry provided a limited set of options regarding transporting intercepted information to law enforcement. Technical electronic surveillance solutions required law enforcement to have in place necessary equipment, facilities, and services to transport intercepted information from a carrier’s switching (or delivery) equipment to a collection site. The installation of these facilities (wirerooms) is both time-consuming (if not already in place, they must be ordered weeks or months in advance) and expensive. A “dial-out” solution takes advantage of the PSTN already in place between carrier equipment performing an intercept and a law enforcement collection site, and represented a dramatic departure from then-existing delivery mechanisms. However, as discussed in Finding IV of this report, delivery mechanisms remain an impediment for law enforcement to conducting CALEA wiretaps. A carrier’s CALEA compliance is not demonstrated simply by installing the CALEA software on a switch. The software must be activated, engineering and provisioning practices developed, security policies implemented, and in some cases, external hardware must be deployed prior to a carrier being able to facilitate surveillance that utilizes the software. The FBI considers areas with the highest amount of switch intercept activity as high priority. As part of the flexible deployment initiatives, the FBI developed a system to rank the carriers’ switches from highest to lowest priority to ensure that the CALEA-compliance of high-priority switches was addressed first. The FBI discontinued FlexD II because of the scarcity of technical standards for packet-mode systems. Technical standards are discussed in more detail in the Developing Technical Standards section of Finding II. As discussed in the Carrier Extensions and Enforcement Orders for Non-Compliance section of Finding II, the FBI advised Verizon, BellSouth, and SBC that it would not support their petitions to the FCC under FlexD III because of their refusal to accommodate law enforcement’s high-priority electronic surveillance needs. The FCC has not ruled on these petitions, even though the FlexD III extensions expired in June 2004. Carrier names are omitted to protect proprietary information. These wireless carriers merged; therefore, this table presents their combined results. The J-Standard is the industry published standard to meet the electronic surveillance capability requirements of CALEA. It is discussed in detail in the Developing Technical Standards section of Finding II. Prior to issuance of the ESI, the FBI had issued electronic surveillance capabilities in both 1994 (prior to the enactment of CALEA) and 1995. These documents contained the punchlist capabilities. According to the June 13, 2002, Petition for Further Extensions of Time of CALEA Deadlines filed on behalf of Qwest Corporation; Malheur Home Telephone Company; Qwest Wireless, LLC; and TW Wireless, LLC; the “core” J-Standard provided law enforcement approximately 95 percent of the capabilities required by CALEA. The nine punchlist capabilities are to: (1) provide the content of subject-initiated conference calls supported by the subject’s service, (2) identify the active parties of a multi party call, (3) provide access to all dialing and signaling information available from the subject including a subject’s use of features (e.g., the use of flash-hook and other feature keys), (4) notify the law enforcement agency when a subject’s service sends a tone or other network message to the subject or associate (e.g., notification that a line is ringing or busy), (5) provide timing information to correlate call-identifying information with the call content of a communications interception, (6) provide digits dialed by the subject after the initial call “cut-through” is completed to another carrier, (7) send a message to a law enforcement agency that an interception is still functioning on a subject, (8) alert the law enforcement agency via electronic continuity check tone if the facility used for delivery of call content has failed or lost continuity, and (9) notify the law enforcement agency if the subject modifies his subscribed features. The FCC ruled that carriers must comply with punchlist items 1 through 6 identified in footnote 55 and described in more detail in Appendix IX. According to the FBI, the PSFN document neither addressed any procedures for enabling access to a subject’s communications nor requirements for how call-identifying information is accessed in a service provider’s network. Rather, the document provided a set of high-level needs considered necessary by law enforcement regardless of the service being offered by the provider over a packet-based network. The PSFN Document did recognize that each packet-based service would require a more detailed set of needs based on the specifics of the service and architecture. According to the FBI, this document defined what communications identifying information and communications content are needed by law enforcement to conduct electronic surveillance, but did not define how a service provider should access that information. CGVoP service can be defined as the utilization of packet technology to offer voice services that parallel the services provided through the PSTN and that strive to achieve quality, reliability, security, and connectivity comparable to the PSTN. Personal communication has traditionally been carried via wireline circuits. Advances in computer hardware and software technology have enabled personal communications to be carried via data packets over a network. This method of communication requires both access to a public IP network (e.g., the Internet) and accompanying network infrastructure support services. Network access can be attained from a PIPNAS provider and the necessary network support services can be provided by a PIPNAS provider, application service provider, local exchange carrier, wireless service provider, or some combination thereof. Attorney General Order 1945-95 states in part: “It is the policy of the Department of Justice that the loans of electronic surveillance equipment to state and local law enforcement agencies are generally to be discouraged....” The order also states that a “State agency receiving loaned equipment may not disclose the existence or use of such equipment without authority of the FBI Director....” According to the FBI, state and local recipients of FBI ad hoc solutions cannot always protect the details of this sensitive law enforcement technique against subsequent criminal discovery. CALEA solutions are developed by engineers who rely on telecommunications industry published standards to guide them. According to an FBI official, “[s]ince CALEA standards are intentionally broad, this causes software developers to sometimes incorrectly assume the intent of the standard.” Complicating the development process is the fact that a different CALEA solution is needed for every combination of carrier and manufacturer in the telecommunications industry, and that some carriers use different manufacturers for the same equipment in different parts of the country. Telcordia Technologies, Inc. is a provider of telecommunications network software and services for IP, wireline, wireless, and cable companies. CableLabs is a research and development consortium of cable television system operators that conducts and funds research and development projects to help cable companies plan for the future and apply technology to meet consumers’ needs. The FBI funded testing of solutions only in connection with the nationwide RTU licenses as a contractual condition and not as a part of a comprehensive testing regimen. In granting a Section 109 extension, the FCC also considers the following factors: (1) the effect on public safety and national security; (2) the effect on rates for basic residential telephone service; (3) the need to protect the privacy and security of communications not authorized to be intercepted; (4) the need to achieve the capability assistance requirements of Section 1002 of this title by cost-effective methods; (5) the effect on the nature and cost of the equipment, facility, or service at issue; (6) the effect on the operation of the equipment, facility, or service at issue; (7) the policy of the United States to encourage the provision of new technologies and services to the public; (8) the financial resources of the telecommunications carrier; (9) the effect on competition in the provision of telecommunications services; (10) the extent to which the design and development of the equipment, facility, or service was initiated before January 1, 1995; and (11) such other factors as the Commission determines are appropriate. A carrier could defend itself by showing that full wiretap capability was not reasonably achievable in its system, or that law enforcement could obtain the same information elsewhere. CALEA offers additional features not available through a traditional wiretap. These additional features are the “punchlist” features described in Appendix IX. CALEA software is considered deployed when it is activated, engineering and provisioning practices developed, security policies implemented, and in some cases, external hardware is deployed prior to a carrier being able to facilitate surveillance that utilizes the software. The FBI estimates that entering into software activation agreements with these four carriers would make about 90 percent of the wireline switches CALEA-compliant. For a description of the CALEA punchlist features, see Appendix IX. The Omnibus Crime Control and Safe Street Act of 1968 required the Administrative Office of the United States Courts (AO) to report to Congress the number and nature of federal and state applications for orders authorizing or approving the interception of wire, oral, or electronic communications. The statute requires that specific information be provided to the AO, including the offense(s) under investigation; the location of the intercept; the cost of the surveillance; and the number of arrests, trials, and convictions that directly result from the surveillance. The FBI acknowledged that over 80 percent of intercepts are conducted on cellular or wireless switches. The FBI formed the Law Enforcement Technical Forum and the Law Enforcement Executive Forum to solicit the technical and programmatic exchange of information with the law enforcement community on CALEA implementation and electronic surveillance challenges. During our audit we noted other discrepancies regarding the collection and tabulation of survey responses that resulted in the FBI reissuing a corrected 2004 Threat Assessment Survey Report. [LAW ENFORCEMENT SENSITIVE INFORMATION REDACTED]. Under CALEA, carriers are not responsible for decrypting, or ensuring the government’s ability to decrypt any communication encrypted by a customer, unless the encryption was provided by the carrier and the carrier possesses the information necessary to decrypt the communication. According to CALEA, if the FBI has not agreed to pay the telecommunications carrier for all reasonable costs directly associated with modifications necessary to bring any equipment, facility, or service deployed on or before January 1, 1995, into compliance with the assistance capability requirements of Section 103, such equipment, facility, or service shall be considered to be in compliance with the assistance capability requirements of Section 103 until the equipment, facility, or service is replaced or significantly upgraded or otherwise undergoes major modification. We present this information because the cost of CALEA compliance remains a controversial issue and a concern for carriers. This information was provided by carrier representatives we interviewed and was not audited. According to DOJ’s Joint Petition, the FCC should clarify the costs that can be included in intercept provisioning costs and determine who bears financial responsibility for such costs. Although carriers are permitted under Title III to pass on to law enforcement their provisioning costs, a growing number of law enforcement agencies expressed concern over the significant provisioning costs in carriers’ bills. These costs make surveillance more difficult, especially for smaller law enforcement agencies. To permit carriers to include their CALEA implementation costs in their provisioning costs would not only violate Title III, but will also make it increasingly cost-prohibitive for law enforcement to conduct intercepts. Although Title III provides for carriers to be compensated for costs associated with intercept provisioning, nothing in either Title III or CALEA authorizes carriers to include CALEA implementation costs in their provisioning costs. Wireline fee schedules were not provided by law enforcement because the majority of intercepts are conducted on wireless phone. Another option is to lease access to the carrier’s T-1 lines through the law enforcement agency’s equipment vendor. Equipment vendors gain permission from the carrier to place a collection box on the carrier’s server through which the vendor receives the intercepted data and subsequently passes the data onto the requesting law enforcement agency. A law enforcement official stated that his agency leases access to the carrier’s T-1 line through their vendor at a rate of $750 per month. Calculation is based on the assumption it would cost $1,300 per switch for installation. The difference between the two agencies’ percentage of wiretaps performed on wireless phones was attributed to the types of cases each agency conducts; in particular, more wirelines are wiretapped in homicide cases than in drug cases. After a series of reorganizations, responsibility for CALEA implementation now rests within the FBI’s Investigative Technology Division (ITD). Within the ITD, the CIU and ERF are tasked with developing overarching CALEA implementation strategies and developing ad hoc solutions.